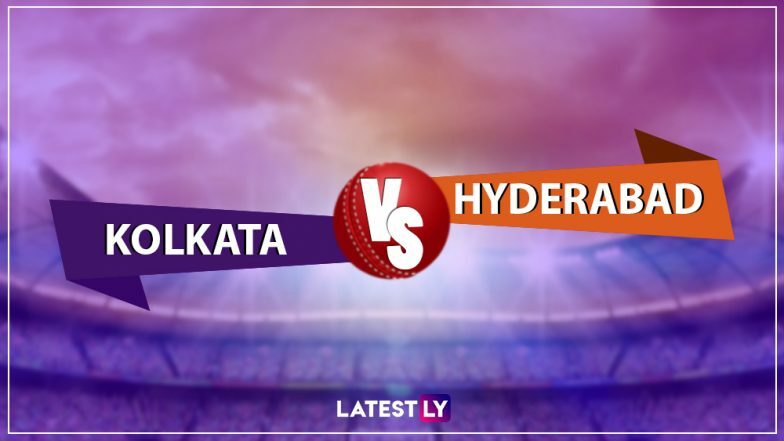 After a blistering start to the IPL 2019, Kolkata Knight Riders is all set to lock horns with Sunrisers Hyderabad at the Eden Gardens today in the first game of the double-header. The last time the two teams met in the IPL 2018 Qualifier, the Orange Army walked away with a victory made it to the finals if the IPL 11. However, since its KKR’s home game, the home team has an upper hand. Out of the 15 occasions, the teams have locked horns with each other, Dinesh Karthik and men have won on nine times, whereas the Orange Army has won six games. KKR vs SRH Head-to-Head Record: Ahead of IPL 2019 Clash, Here’s Match Results of Last 5 Kolkata Knight Riders vs Sunrisers Hyderabad Encounters! Also in today’s match, it would be interesting to see if Kane Williamson will be included in the playing XI as he is nursing a shoulder injury which occurred to him during the second Test against Bangladesh. All eyes will be on David Warner who missed out on the last season of IPL due to ball-tampering charges. The home team will rely on players like Dinesh Karthik, Sunil Narine and Robin Uthappa. Now, let’s have a look at the live streaming details of the match. Kolkata Knight Riders vs Sunrisers Hyderabad Live Cricket Score 2nd T20 Match. The IPL broadcast rights are with Star Sports Network. So, the CSK vs RCB IPL 2019 match live telecast will be available on Star Sports 1/HD, Star Sports 1 Hindi/HD. Star Sports Select 1/HD will also provide the live telecast of the match. Apart from these, the KKR vs SRH match live broadcast will be provided on Star Sports Bangla, Star Sports Kannada, Star Sports Tamil and Star Sports Telugu TV channels. With Star Sports owning the broadcast rights, the live streaming of Kolkata Knight Riders vs Sunrisers Hyderabad IPL 2019 match will be available on Hotstar mobile app and official website. For live score updates KKR vs SRH match, fans can follow that here on LatestLY.